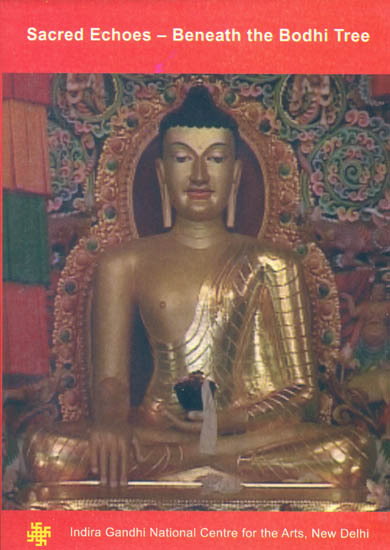 Bodhgaya- an eternal space where Buddha attained Nirvana. Buddha Charita denotes this space as a corridor of eternity. The documentary fathoms Bodhgaya as a pilgrimage to re-understand the process of Awakening even beyond the Bodhi tree. Parallel, the documentary highlights the importance of seven places where Lord Buddha did penance. Those are: (1) Bodhi palankha – the place of enlightenment where Gautam Buddha spent first week beneath the Bodhi tree, (2) Animesa locana – After enlightenment Lord Buddha spent the second week in meditation here gazing unwinking at the Bodhi Tree, (3) Cankamana – Buddha spent the third week here walking up and down in meditation, (4) Ratanaghara (the place of basic contemplation) – Lord Buddha spent the fourth week here in meditation reflectiong the casual law, (5) Ajapala Nigrodha tree (Banyan tree) – Lord Buddha spent the fifth week under this tree in meditation after enlightenment. He explained one becomes a Brahman a only by ones deeds not by birth, (6) Mucalinda lake (the abode of snake king) –Buddha spent the sixth week in meditation here, and (7) Rajyatana (a kind of forest tree) – After enlightenment Lord Buddha spent the seventh week here in meditation. Alongside the Tipitaka chanting by eight Theravada countries were documented. Tipitaka encompasses Vinaya Pitaka – code of ethics for monks; Sutta Pitaka – basket of teaching; and Abhi Dhamna Pitaka –the higher knowledge. Thus the documentary weavesan unique fabric of chanting tradition and sacred space Bodhi Tree, the Temple and pilgrims that unifies a holistic vision of Buddhism as a emblem of world peace.